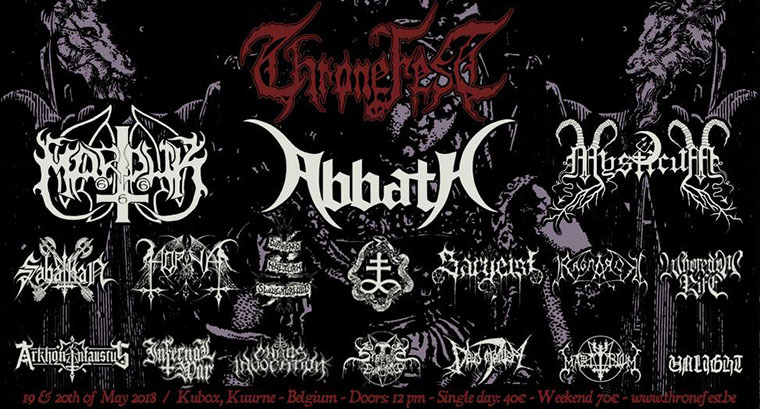 Featuring a killer line-up of Black Metal acts, Throne fest is starting to get a reputation for one of the genre’s niche festivals. This 2018 we will make our way for the Sunday activities that include sets from bands like Mysticum, Marduk and Sargeist just to name a few. If you are looking for a small and yet satisfying Black Metal festival, be sure to check this one out. Take the train to Kortrijk station or Ingelmunster station. These are the center points of the festival.